Affiliate marketing strategies with cloaking proves beneficial. Let us talk about cloaking first, what cloaking is and what it does. 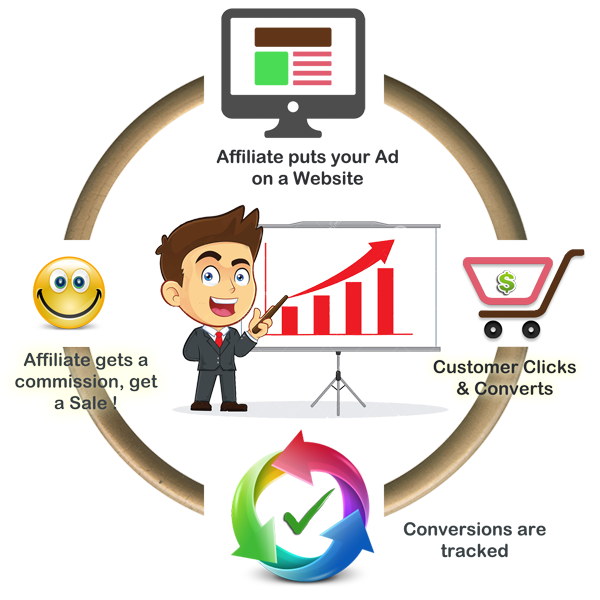 When an affiliate is provided with an affiliate link by the affiliate program, it is kind of lengthy and confusing to comprehend. When the link is cloaked, it shortens and becomes easy to notice and use. There happens to be no difference between the two, in the sense that both of them link to the same URL and both generate the affiliate commission as intended. But cloaking your affiliate link is one of the wisest affiliate marketing strategies and makes sense in a number of ways. There are quite a few ways through which your affiliate links can be misused by notorious internet users as well as some other affiliates. Some buyers take the uncloaked affiliate link, strip off the affiliate ID from it and use it to buy from the vendor directly. This brings them no benefit as in the price of the product remains same. But it appears that they do it out of sheer ignorance, hoping that they might save on the price of the product. There are affiliate programs where the affiliates require no approval from the vendor to promote their products. One such program happens to be Clickbank. In such a place, where an affiliate wants to buy a product that he is not promoting, but has a Clickbank account, he will take your uncloaked affiliate link, remove the affiliate ID from it, and buy the product. This way, he saves on the commission part of the price which is actually yours! Also, by using an affiliate link in its original form, i.e. uncloaked, there is a chance of losing credibility with your readers. When a reader notices that you are promoting a product for profit, the well written review and your honest recommendations lose their importance to a great extent. The uncloaked link is precisely the reason why readers get a skeptical feeling. Another point where uncloaked links are not welcome is when you use them on the social media. Either these links cause your account to be suspended or they go totally unnoticed that is the post is never seen on the news feed.Thus, using an uncloaked link goes against any of your other affiliate marketing strategies like the social media channel. There is also a chance that cloaked affiliate links might improve your search engine rankings proving to be one of the easiest affiliate marketing strategies. That is because an uncloaked affiliate link is quite uninviting to read and a reader generally avoids them in fear of landing onto an unwanted page. A cloaked link ensures readability and hence seems safe enough to click through. Therefore it widens the possibilities if the click-through rate and ultimately increases the chances of better search engine rankings. When email marketing is used as one of your affiliate marketing strategies, your email promotions benefit a great deal through cloaking. If you plan to do your promotions through email marketing, and if your emails contain uncloaked affiliate links, they might find it difficult to make it through the filters. Such emails often run the risk of getting black listed. « Quais são blogs de marketing da filial todos sobre?